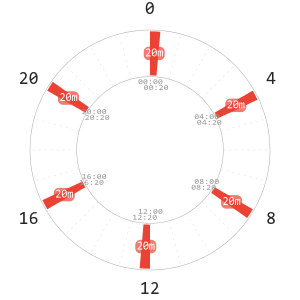 Polyphasic sleep is a practice based on division of sleep into several smaller blocks per day as opposed to sleeping in a single block common for most countries. Drawing inspiration in the siesta popular in Spain or segmented sleep widely spread before the advent of artificial lighting, sleeping polyphasically can, among others, reduce the total sleep time required, help with feeling of constant tiredness or help shift workers deal with their demanding work schedules. 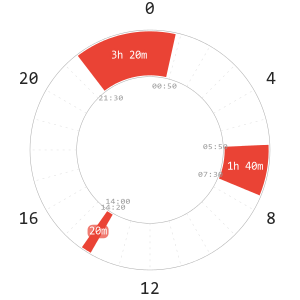 We are an active community with interest in polyphasic sleep and mostly residing in the Polyphasic Sleeping Discord server and the /r/polyphasic Subreddit. 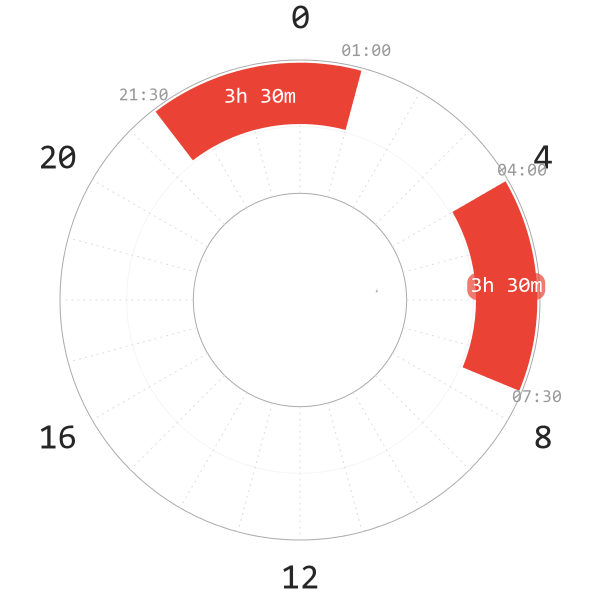 Ever since the Subreddit was created spanning 10 years back and now with the creation of the Discord in 2016, we’ve aimed to foster a more interactive discussion about polyphasic sleep and make it easier for newcomers to get their questions addressed. Over time, the discord community grew to the today’s size of over 3000 members. 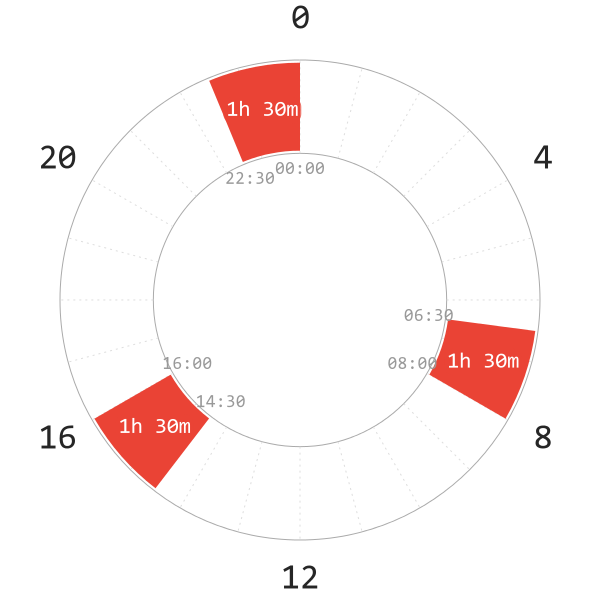 With the common goal of improving sleep quality and investigating various aspects of polyphasic sleep, many members have started to work on various projects including compiling information about adaptation viability of different schedules and advanced sleep tracking using commercial and home-built EEGs. One of these projects is also this site, Polyphasic.net, which is aimed to compile all currently available information about polyphasic sleep including information in otherwise paid resources and most recent findings of the community which is not included in other sources about polyphasic sleep that are not updated regularly. Polyphasic sleep is far from fully explored and with many unknowns, even this website and other projects are very much an ongoing effort. If you are interested hanging out or even contributing to some of our efforts, definitely check out our Discord server and Subreddit. Sleep schedule consisting of two core sleeps widely spread before the advent of artificial light. Schedule popular in some countries such as Spain with long night core and a shorter one at noon. Family of schedules with single core block supplemented by several naps throughout the day. 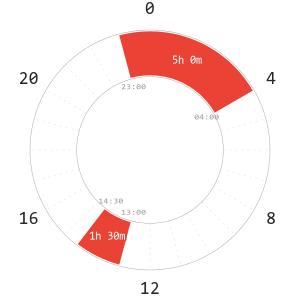 Family of schedules with two core sleeps supplemented by naps throughout the day. Family of schedules with three short core sleeps, sometimes supplemented by additional naps. Extreme schedule consisting of only 6 twenty minute naps totaling 2 hours of sleep. 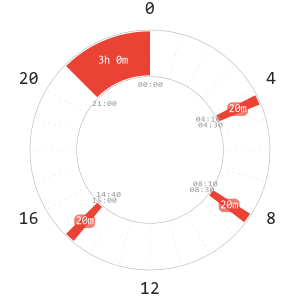 Discuss the polyphasic sleep schedules, get advice on schedule selection and adaptation to get most out of polyphasic sleep on the community social platforms. Most active polyphasic community with members eager to help beginning polyphasic sleepers. Subreddit dedicated to polyphasic sleeping providing many additional sources of information.